In April of 2015 we visited Kruger and this particular trip was very special as we got to see a white lion cub in the WILD. The white lion is part of the Shishangaan pride, this pride in 2015 was known as a mega pride as it consisted of 4 males, five lionesses and 18-20 cubs. This particular pride was special as they actually had two white lion cubs born in the pride, one which was 9 month old in January 2015, and the second was born in February 2015. We only got to ever see the younger white lion. The older white lion hasn’t been seen in a while but when a few people saw him at the end of 2015 he was emaciated. White lions are rare in the wild but Timbavati Game Reserve is known for having white lions carrying the white lion gene, white cubs are not albinos, a recessive gene gives white lions their unusual color. The surviving white lion on the other hand is doing great his 3 years old now, him and his siblings are still part of the pride, the Shishangaan males have still not ousted them from the pride. Last time we saw him was in August 2016 at Gudzani East Waterhole on the S41. Here is some information about the Shishangaan coalition, the coalition consists of 4 males they are 7/8 years old now. Two of the males are easy to identify because one is blind in one eye, and the other male called ‘the Angry one’ has a bad limp. the Angry one is rarely seen with the other 3 males as a result of his bad limp but he is the most dominant when it comes to mating rights. 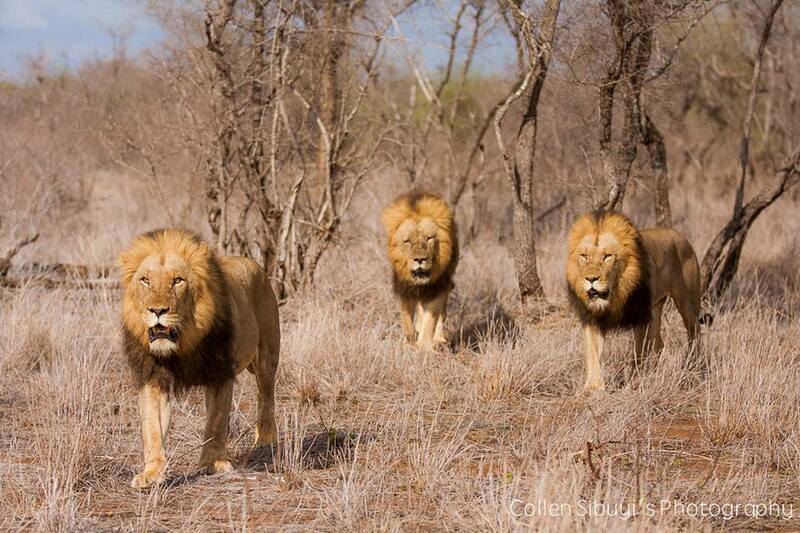 In the photo below the lion in the middle is the male which is blind in one eye and he is the oldest while the other 2 are the youngest in the coalition. These males are the pride males of the Mountain pride along with the Shishangaan pride. 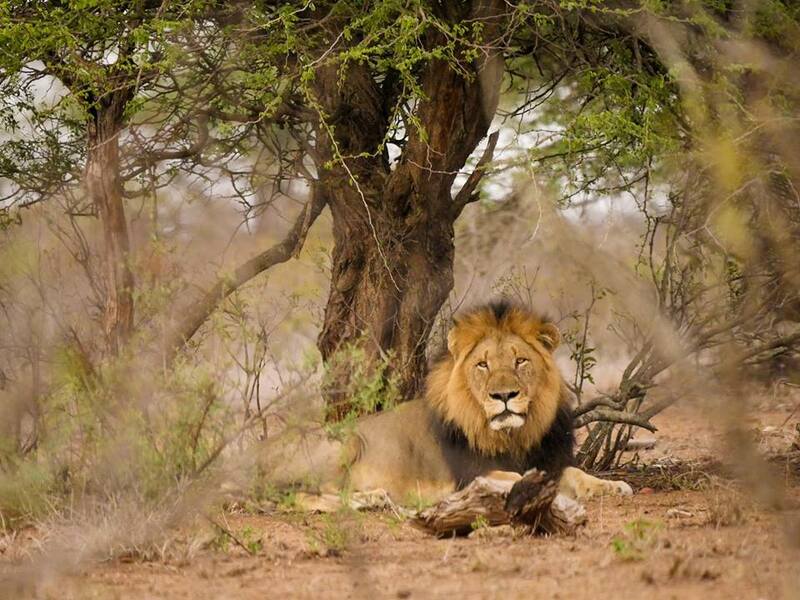 You can watch this video of the Shishangaan males stealing a kill from a tree here. You can find the Shishangaan males and the pride on the S100, S41 and sometimes on the H6 by Sonop Pan Waterhole although they do spend most of their time in the Singita concession. We have only ever spotted them on the S41. Keep an eye out for them next time you are in the area.